The Century Club Reaches a Milestone - 100 Members! It was a day to remember in Benton, Louisiana, as Alma Perkins became the 100th member of The Dressage Foundation's Century Club on May 5, 2012. 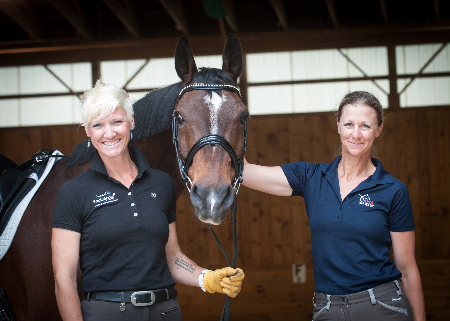 The journey to this special milestone began in 1996, when noted dressage judge and instructor, Dr. Max Gahwyler, suggested that The Dressage Foundation create a program to encourage older dressage riders to remain active in the sport. It was decided that to become a member of the Century Club, the ages of the horse and rider must equal at least 100 years and the team must perform a dressage test at a show. Lazelle Knocke, the first member of the Century Club said, "Hopefully the Century Club will be in the forefront of a very interesting opportunity for seniors and dressage as recreational and therapeutic riding. It really is challenging and has long-term goals and benefits." Indeed, the Century Club has grown to become a meaningful and popular endeavor for senior riders and horses. Recent growth of the Century Club indicates that the member teams are becoming an inspiration for other riders to remain active in their senior years. John Claridge, who became a Century Club member in 2010, has said about dressage, "As I think back over the years, it is the concept of teamwork that I have found most satisfying. In most athletic endeavors that older people pursue, e.g. golf, tennis, swimming, cycling, the effort is purely individual. Dressage requires one to accommodate his or her abilities to that of the horse. When that is done successfully, there is no better feeling." "We are incredibly proud of all the Century Club teams who have brought us to this point," said Jenny Johnson, Administrative Director of The Dressage Foundation. "To reach 100 teams, and to have many more riders and horses 'waiting in the wings,' is a true testament to the horsemanship and dedication of the riders. Each individual provides great inspiration that, as riders, we can continue with the sport we love throughout our lives." The 100th member, Alma Perkins, is 79 years old and her horse, Charisma, is 26. Alma and Charisma performed a First Level Musical Freestyle that she created. 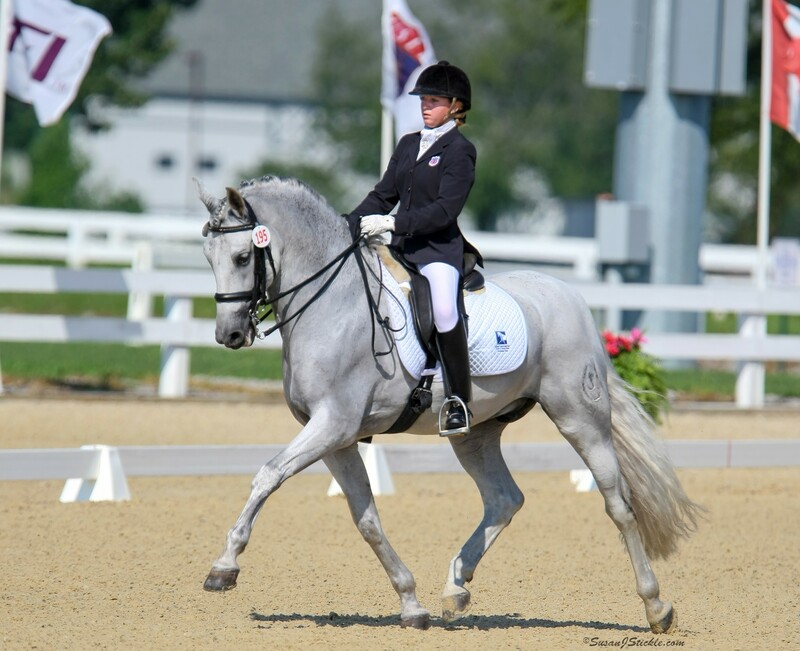 Friends, family, and members of her local club, Tri-State Dressage Society, cheered her on. 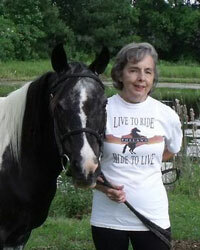 Alma said, "I am a big advocate of freestyles, because it keeps both rider and horse interested. Dressage is good for horse and rider health, and like chess, is never to be completely mastered." Alma would like to give credit to Debbie Cinotto, who bred, raised, and trained Charisma. The Century Club ride was made even more special because Debbie was the judge. Alma plans to continue riding and competing and hopes to perform a second Century Club ride in two years on Charisma's 3/4 sister, Pandora. 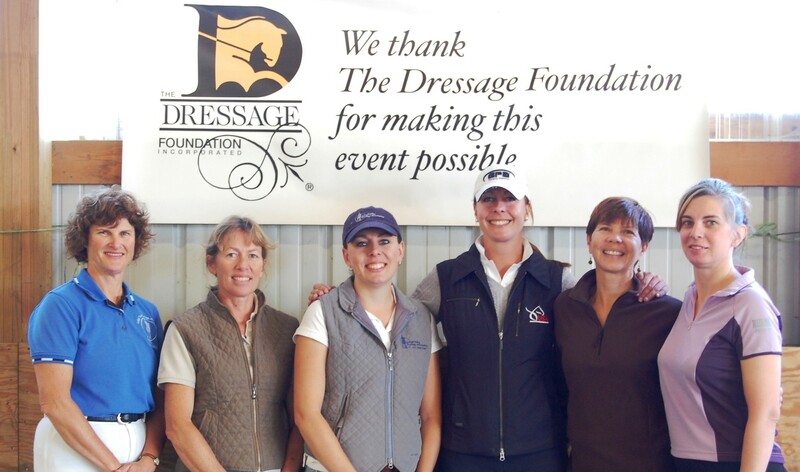 To celebrate new Century Club members, The Dressage Foundation provides each team with a ribbon and wall plaque. Additionally, each year the Foundation publishes The Century Club News, which features stories on each team from the previous year. The Dressage Foundation welcomes donations of all sizes to help with the costs of the Century Club. For more information view the Century Club page or contact Jenny Johnson at (402) 434-8585.